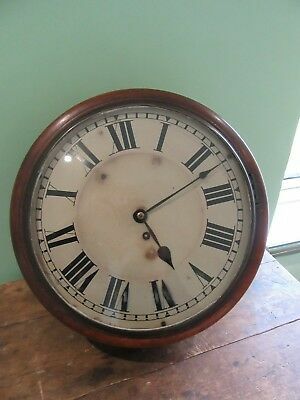 Seller: clockbuster (665) 100%, Location: Sheffield, Ships to: Worldwide, Item: 263994454785 8 inch Convex Fusee Mahogany Dial School Clock - T.W. 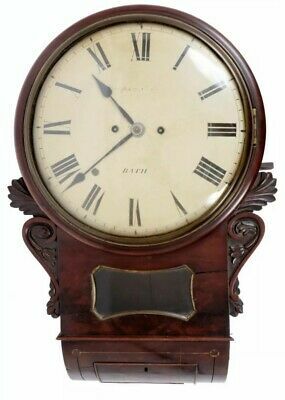 Smith , London Click images to enlarge Description This is a most pleasing English fusee dial clock of small size and excellent quality by T.W. 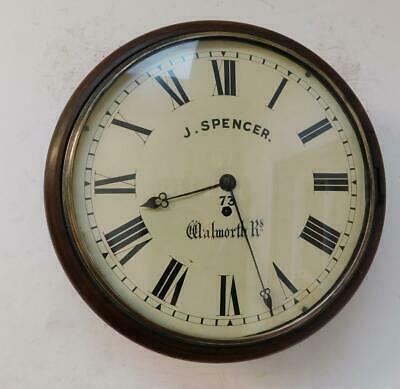 Smith , Fenchurch St , London having been recently sourced from an elderly private client who has owned the clock for many years. 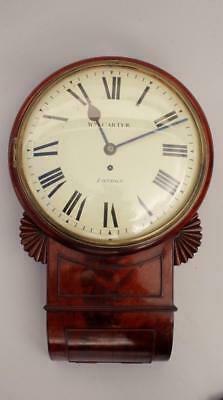 This clock is of elegant proportions having a convex cream dial of only 8 inches in diameter and a cast bezel. . 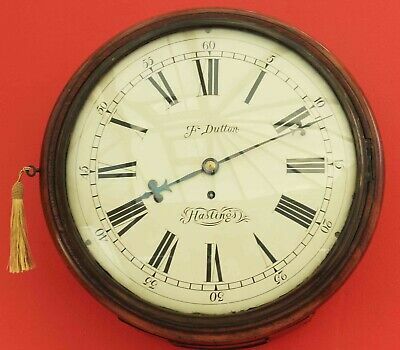 The dial is signed by the maker and the original blued steel hands are beautifully made. 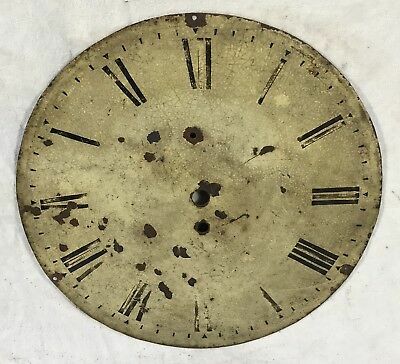 The substantial 8 day duration fusee movement has shouldered plates which would date the clock circa 1830-40 whereas the majority of this type of clock are made 50 years later. 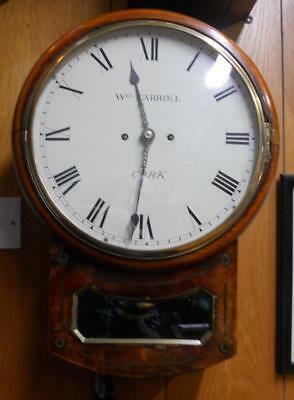 The movement is in perfect order having been recently serviced and has the unusual feature of the winding square located at 9 o'clock. 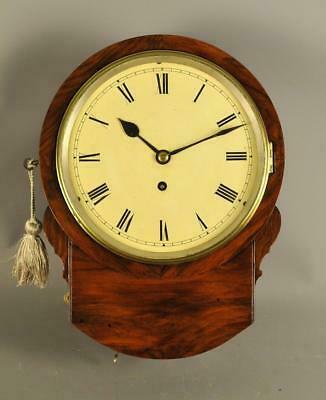 The case is veneered in mahogany with fine brass inlay to the front ., The colour and finish are excellent. I welcome any any expert appraisal whatsoever. 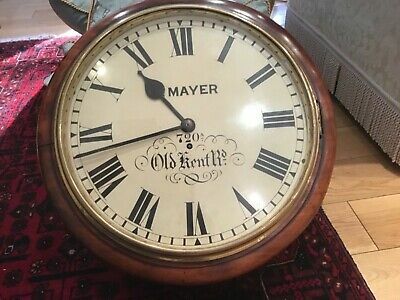 Obviously,any potential clients are very welcome to view the clock prior to purchase (or pay on delivery)to ensure that they are satisfied with their purchase This clock is 9 1/2 inches (total) in diameter 5 inches deep .The width at the trunk is only 6 3/4 inches . 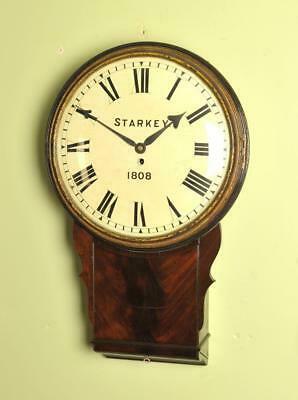 The overall height is 13 1/4 inches The condition is excellent and the finish is as good as anyone can possibly expect and has wonderful colour.There are some age related marks as you would expect on any item which is almost 200 years old but nothing else worth mentioning specifically.It is ready to hang straight on the wall. 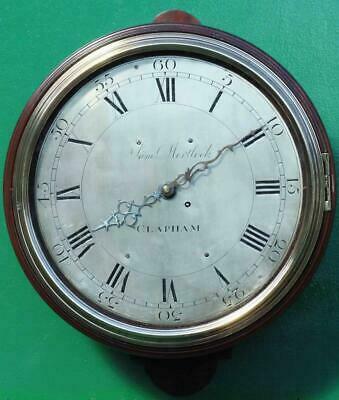 The dial groundwork is original with a couple of minor imperfections professionally restored to a high standard The proportions are perfect and is worthy of gracing the wall of the most discerning collector. Hopefully the images will show show interested parties all they need to see but prospective buyers are very welcome to view. 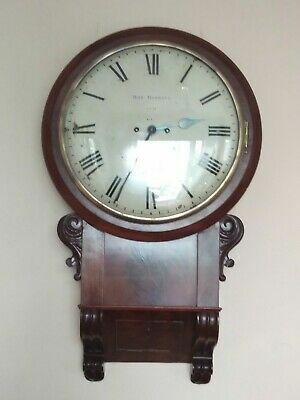 This clock is much nicer in the flesh as my photographic skills are very poor. 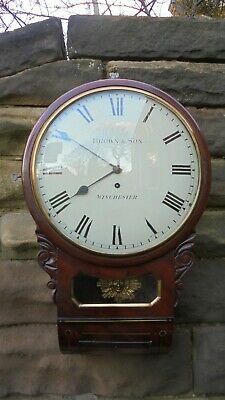 If the buy it now price is paid in full I will ,deliver /ship the clock free of charge in England ,Wales and the Scottish lowlands and provide a 2 year guarantee .Should a lesser offer be accepted it will be a trade sale with the clock being sold as described and shipping costs being the responsibility of the buyer. 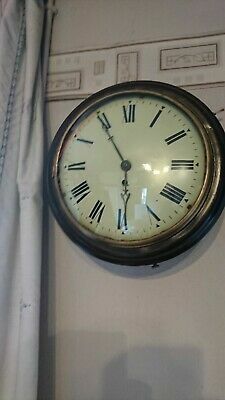 I will ship this clock worldwide . Guesstimate prices areas follows Europe £70 USA £120 Asia and Australia £160 ...show more description Payment All good must be paid for in full prior to shipping. Domestic buyers are asked to use alternative methods of payment to Pay Pal if at all possible Wire transfers are welcomed from all countries. Shipping Ebay now charge 10% on shipping plus Pay Pal fees.These charges will be added to the shipping costs.All goods will be shipped within five days of payment. Collection is available by prior arrangement All goods paid using Pay pal will only be shipped to the pay pal confirmed address All goods will be shipped by courier ie UPS,DHL,Fed Ex or similar and will be tracked and signed for.I will not ship unless it is tracked and signed for. If you wish to use your own courier I will do all I can to assist. I only charge actual costs incurred for shipping BUT I will use a large box with plenty of packing to avoid damage and this will make shipping (particulary to foreign countries) a little more expensive due to volumetric weight. Custom made boxes,bubble wrap and peanuts all cost money and the cost of these materials will be added to the cost of shipping.For example a Vienna wall clock costs me £15 in materials.I do not charge for my time for packing. Every care will be taken when packing but no liability will be accepted for damage by the couriers and it must be remembered that it is virtually impossible to guarrantee 100 percent that a peice of glass may not be damaged on the odd occasion. 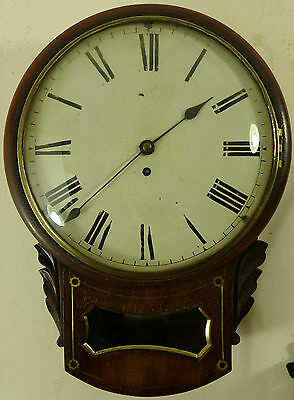 Insurance is a difficult and expensive area with respect to antiques and usually has a low ceiling that is why I use recognised tracked and signed for couriers and do not insure seperately.If you wish to seperately insure your item I will do all I can to assist but the responsibility to arrange the said insurance is with the buyer Terms of Sale It is requested that all buyers contact me within 24 hours and pay in full within 7 days unless a prior arrangement is made Please do not agree to buy something unless you intend to pay. Goods will not be despatched unless paid for in full. If you see a listing when you are financially indisposed the speak to me as we can probably arrange something to our mutual satisfaction. I have no intention whatsoever rip my customers off and I ask that any buyers afford me the same courtesy. Reputations take a lifetime to build and can be lost overnight. I want my customers to be happy and return time and time again so if you are dissatisfied in any way please get in touch. 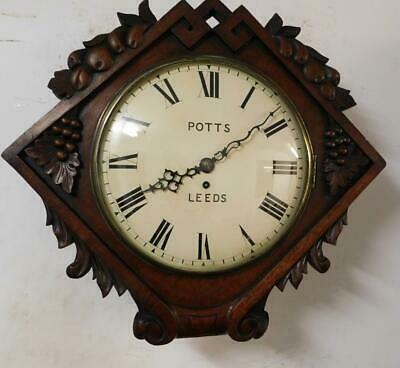 About Us I am an established purveyor of fine antique clocks and barometers with over 25 years experience dealing primarily with the trade and serious collectors who seek quality items on original condition. Customer satisfaction is paramount and I endeavour to be as honest and straighforward as possible in both my descriptions and the way business is conducted. 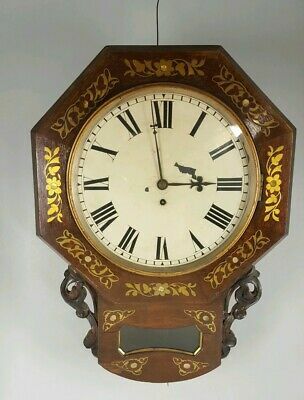 Over the years I have supplied many of the top retail dealers in the world and have been involved in collectors finding those allusive additions to their collections. I have been reluctent to get involved with the modern world of E commerce dealing but it is obviously the way forward and I feel there are opportunities for someone who conducts their business with integrity. 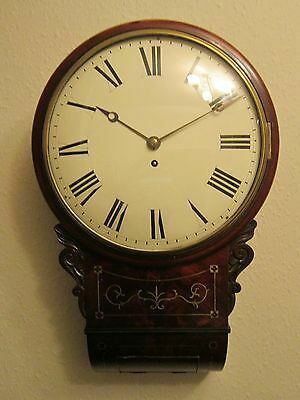 I also undertake commissions to sell and purchase clocks and barometers on behalf of clients on a percentage basis.Confidentiality is asssured. 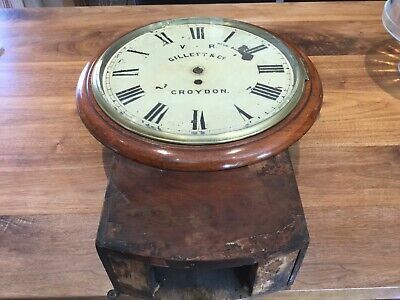 I also have worldwide contacts who have access to the finest items of a quality which do not appear on E bay and if you are looking for a particular item the please get in touch as I may well be able to help.All I ask is not to waste my time as I most certainly wont waste yours. Should you find one of my items when you are financially indisposed then please get in touch as I am sure that we can make a mutually beneficial agreement. 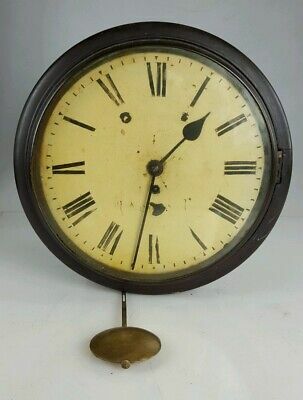 Contact Us If you have any queries then please contact us at sellingantiques.co.uk/steammill where you will find the details you require Pictures sell! Auctiva offers Free Image Hosting and Editing.250+ Listing Templates! Auctiva gets you noticed! The complete eBay Selling Solution. Track Page Views WithAuctiva's FREE Counter Condition: Excellent condition of outstanding colour in perfect working order. 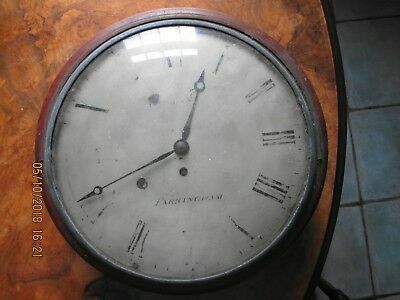 Popularity - 1,090 views, 5.7 views per day, 191 days on eBay. Super high amount of views. 0 sold, 1 available. 1,090 views, 5.7 views per day, 191 days on eBay. Super high amount of views. 0 sold, 1 available. Seller - 665+ items sold. 0% negative feedback. Great seller with very good positive feedback and over 50 ratings. 665+ items sold. 0% negative feedback. Great seller with very good positive feedback and over 50 ratings. 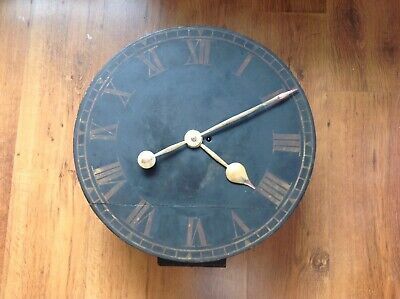 Fine Regency London Fusee Wall Clock. 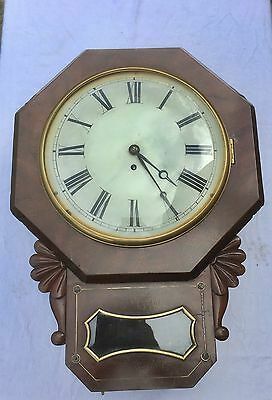 19Th Century 12In Fusee Wall Clock.